Welcome on the downloads server of softwares.bajram.com. All these softwares was created by a french comics artist, Denis Bajram, for his private usage. You can find more information (in french) about his "real work" on his main site. 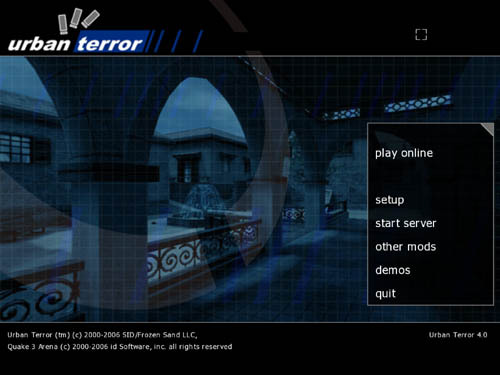 Urban Terror™ is a free multiplayer first person shooter developed by FrozenSand. It is available for Windows, Linux and Macintosh. Comment: Denis Bajram is one of the developers and admins of FrozenSand. His nickname for the game is Kalish. In a little window, you will obtain for each key down its character, its ASCII code, and the keyboard code in hexadecimal and decimal. In a little window, you will obtain for each key down its character, its ASCII code, and the keyboard code in hexadecimal. This is a little application that you can lauch instead of using the "Shut Down" submenu of the Apple menu. You can choose your startup disk in a menu. You can force, if you need, the restart or the shutdown. You can schedule restart, shutdown, sleep, and forced actions. You can personnalize every shortcut. You can add a delay to every button. Why a delay ? Because this is always when the Shutdown button is clicked that we realize we have forgotten to do something. So, a short delay is perfect to cancel the shutdown process. • Fixed a major bug with the shortcuts (Thanks to Dr. Hermann Büchner). • Fixed a bug on forced shutdown or restart with OS X 10.4 (Tiger). • Rewritten password code to use Apple Keychain. • Partially rewritten code to improve its stability. • Partially rewritten Read Me document. • Added adjustable delay to every action. • Added a timer feature. This is a little application that you can lauch instead of the "Shut Down" menu or button. You will recognize the standart features of the Apple Shut Down interface, with more options : for example, you can choose your startup disk in a menu, and force, if you need, the restart or the shutdown. For more details, see the READ ME file of the application. Released under the GPL, Throttled is the only open source bandwidth shaping application for Mac OS X. Taking advantage of the advanced unix architecture of Mac OS X has allowed an high level of bandwidth control. Throttled switch is an easy way to lauch and stop the throttled process. Stop throttled.app to stop it.